Family Law is an area where emotions run deep. It's personal. There's no avoiding that it's personal. Whether it is divorce, child support, child custody, visitation, alimony, property distribution, adoption, family violence or other Family Law issues - there is little that could be more personal. First, let me say I am sorry for the stresses you may be facing. What you need is personalized help and guidance. I will listen to YOU, the person needing help. And you can trust me. The Harris County Family District Courts did. 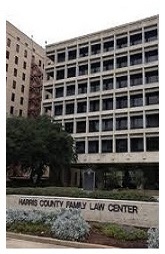 I have been appointed and served as Attorney and Guardian Ad Litem for minor children in custody disputes in Harris County, Texas. Going through a family law matter involving divorce, couples can disagree on many issues including: property division, child custody, child support, and visitation. Many a family lawyer in Houston specializing in divorce can tell you that divorcing parents and their children are better off to have an agreed divorce. Carl Selesky is one Houston divorce lawyer that encourages spouses to try to come to an agreed divorce to	avoid the unecessary emotional and monetary costs of a divorce in Houston, as well as other areas in Texas. For more information on agreed divorce, or any of several topics that may concern you, please select from the list below.